The current article is the first article in a series of two articles, which describe the process of importing PST files to Office 365 (or if we want to be more accurate Exchange Online mailboxes) by using the “Azure Storage Explorer” graphic utility. The current article provides a high-level review description of the components and the concepts that involved throughout the process of importing PST files to Office 365 (Exchange Online mailboxes). 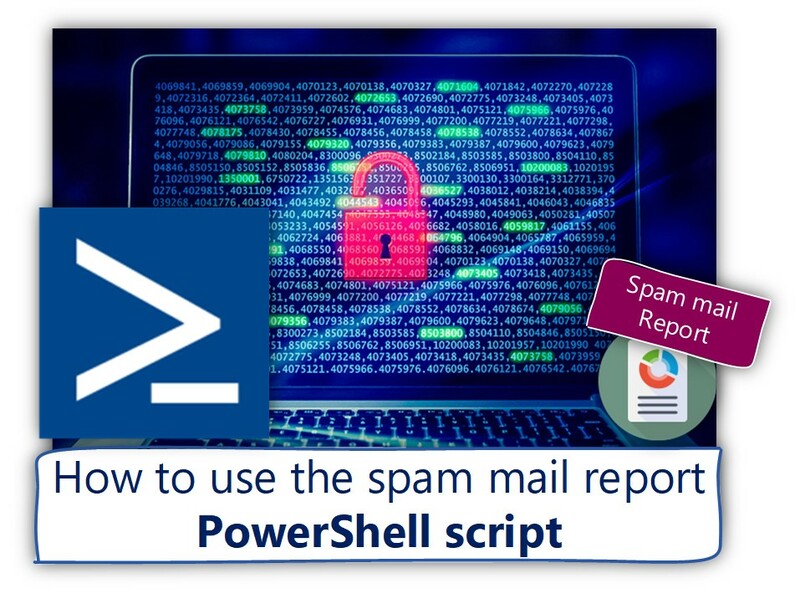 The next article, serve as a step by step guide who includes a detailed description of each step required for implementing the task of importing PST files to Exchange Online mailboxes. The drive shipping method, is based upon a concept in which we save the required PST files to a hard disk drive, send the hard disk to Microsoft with the required instructions, and Microsoft Office 365 IT will complete the task of importing the required PST files for each of the Exchange Online mailboxes respectively. This “service” is a paid service, and we will not review this option in the current article. 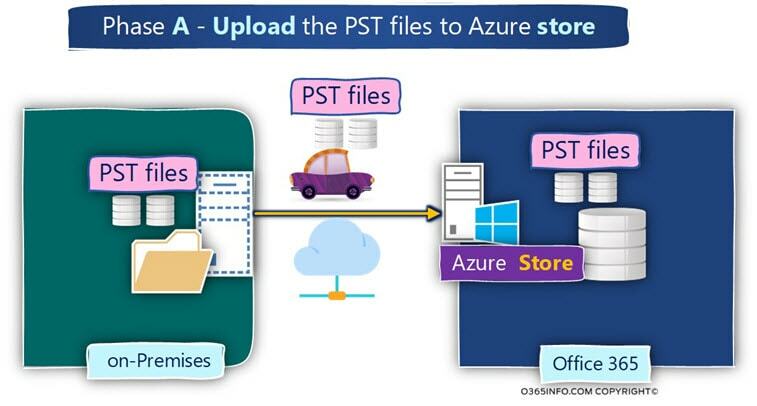 In this option, the task of uploading PST file to Office 365 is implemented by using free Microsoft tools, that enable us to upload the PST files to a Free Azure store. The Azure store serves as a temporary container for the PST files that we upload to the “cloud,” and in the second phase, we import each of the PST files (by fetching them from the Azure store) to the specific Exchange Online mailboxes respectively. This is the method which we review in the current article. One of the most confusing things about the process of importing PST files to Office 365 is, that for most of us, it is not clear what we are exactly doing. The process of importing a PST file to Exchange Online mailboxes, is not implemented “directly. Instead, the first step is to store the PST file in a free temporary store that can be used by every Office 365 customers. The physical store is hosted by the Azure infrastructure, and I describe this store is “temporary” because, from my experience, the PST files that are uploaded to the Azure store will be kept for a period of 60 days and then will be automatically deleted. 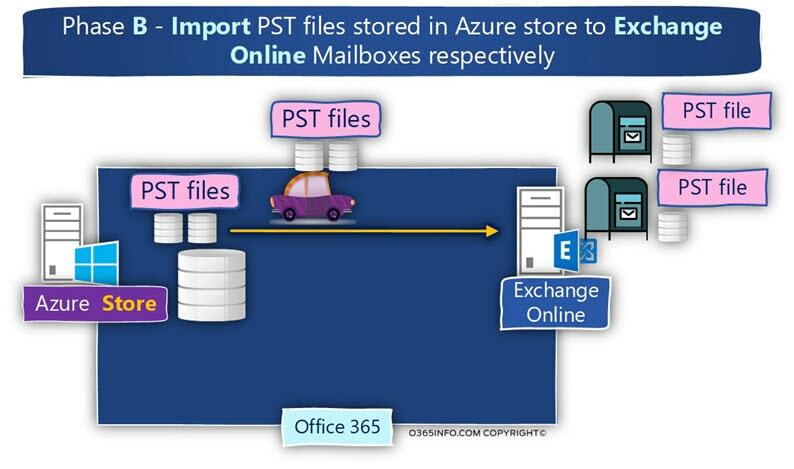 In other words, import the PST file into a specific Exchange Online mailbox. Another angel who can be used for describing the migration process of PST files to Office 365 is described in the following diagram. After the “upload phase” is successfully completed, we will use the Office 365 Security & compliance admin interface for performing the task of “merging” (importing) each of the PST files to the required Exchange Online mailboxes. In the former section, we describe the big picture that includes two main phases that we need to implement for completing the task of importing PST files to Exchange Online mailboxes. 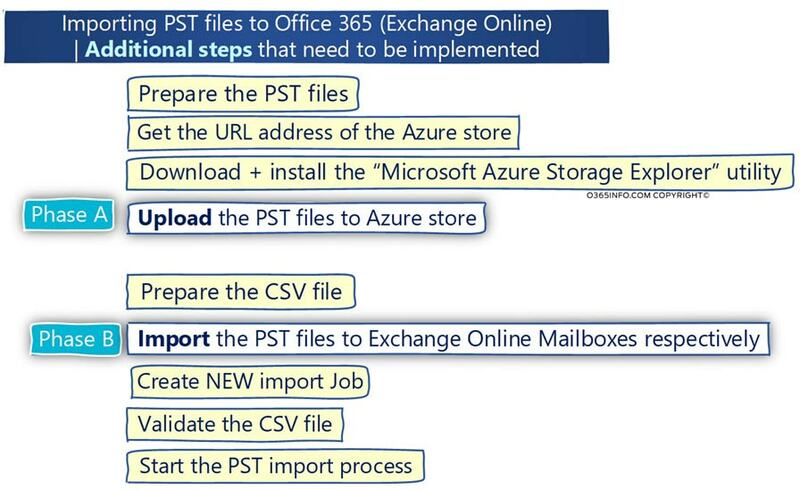 In this section, I would like to briefly highlight the “additional steps” that we need to execute as part of the “main two steps” (copy the PST files to Azure store and import from Azure store the PST files to Exchange Online). In the following diagram, we can see that there are additional “steps” that we need to implement (painted in yellow) before and after each of the “main two steps”. In this step, we need to prepare all the PST files that we are going to import to Office 365. In this section, I would like to emphasize the subject of the PST file names. Technically speaking, I don’t think that is a formal information about the PST file naming convention. 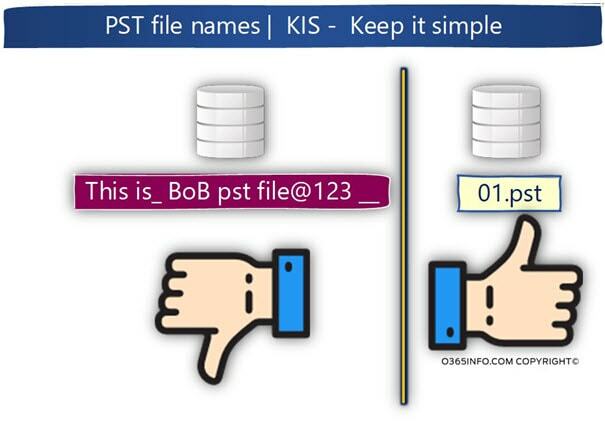 Instead of using a complicated PST name with spaces, special characters and so on, the best practice is to try to use PST File names are as simple as possible. As mentioned, the PST files that we are uploading to the “cloud,” stored in a free Azure store that is allocated to each Office 365 tenant. The access to the dedicated Azure store is implemented by using a URL address, that will be created especially for our Office 365 tenant. At the first time that we use the process of “PST import,” we will need to use the Office 365 admin interface (Security & compliance portal) for generating the dedicated Azure URL address for our tenant. This URL address will be the address that we use for each PST file import task. In other words, the Azure store URL address is a permanent address that will be used for all the future PST file migration tasks. The Azure store URL address defined as – SAS – (Shared Access Signatures). The upload process to the Azure store can be implemented by free tools that provided by Microsoft. The available options are – AzCopy command line utility and the Microsoft Azure Storage Explorer utility. In the current article, we review how to use the “Graphic utility,” the Microsoft Azure Storage Explorer. After we download + install the “Azure Active Directory store” utility, we need to “instruct” the Microsoft Azure Storage Explorer tool, how to connect to our dedicated Azure store (the store that will contain our PST files). The Microsoft Azure Storage Explorer utility will help us to locate the PST file stored in our local desktop (or any other organization host who include the PST files and share the Folder which contains the PST files), and then uploads the PST files to the Azure sore. General information – the steps that described in this section, are relevant to the second phase, which is implemented by using the Office 365 Security & compliance Web admin interface. This is the phase in which we fetch the PST files from the Azure store and import the PST files to a specific Exchange Online mailbox. The CSV file is required by the Import PST file batch for, “understanding” how to associate the specific PST file to a specific Exchange Online mailbox. 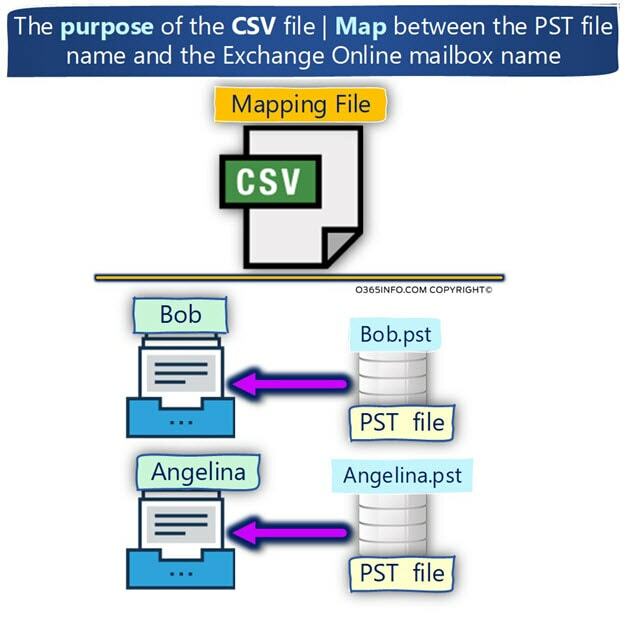 The CSV file described as “mapping file” because the purpose of the CSV (as the name imply) is to serve as a logic map, that describes the connection between a specific PST file name to the specific Exchange Online mailbox which will “host” the PST file. In other words, our responsibility is to know which PST file “belong” to which Exchange Online mailbox and to provide this information by updating the CSV file respectively. The creation of the “NEW import Job,” is implemented by using the Office 365 Security & compliance admin interface. This is the part in which we tell Office 365, that we want to “fetch” some PST files from Azure store, and “Merage” these files to specific Exchange Online mailboxes. The Office 365 PST migration batch job will need to check the content of the CSV file and verify that there is not a logical failure in the syntax that we use, the structure of the CSV file, the PST file names and so on. In case that the validation check finds errors, the information about the errors will be displayed. Option1 – immediately start the PST file import process. Option2 – apply a filter to the information stored in the PST file and only then start the PST file import process. For example, exclude specific folders from the import process of the PST file. In our example, we will immediately start the PST file import process.